The Chicago Auto Show is the largest annual event of its kind in North America. More people attend the Chicago Auto Show at McCormick Place than any other auto show in the United States or Canada, and automotive brands flock to the location in order to debut their most exciting new vehicles, technology, and concept cars. Along with being the most attended event of its kind, the Chicago Auto Show also happens to have taken place more times than any other auto show in the world. With the very first event hosted back in 1901, and more than one million visitors attending annually, it’s no wonder why automakers take the opportunity to debut the latest and greatest every year in the Windy City. The 2017 Chicago Auto Show is held February 11 through the 20, giving Chicago-area residents the opportunity to be the first to experience what automakers have on tap for the upcoming year. 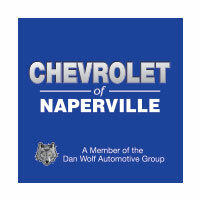 As a Chevy dealer near Aurora, Chevrolet of Naperville will certainly be standing by in order to see what major auto brands have in store for this year’s annual Chicago Auto Show. Due to the fact that the Chicago Auto Show features the largest attendance numbers of any other North American auto show, automakers have big plans in the works to make this year’s show the best ever. With attendees from all over the world, there is no better place to reveal all that these major automotive players have been working to produce over the course of the previous year. Let’s take a look at each one of these major automotive brands, and what we expect to see from them on the floor at McCormick Place February 11 through February 20 of 2017. 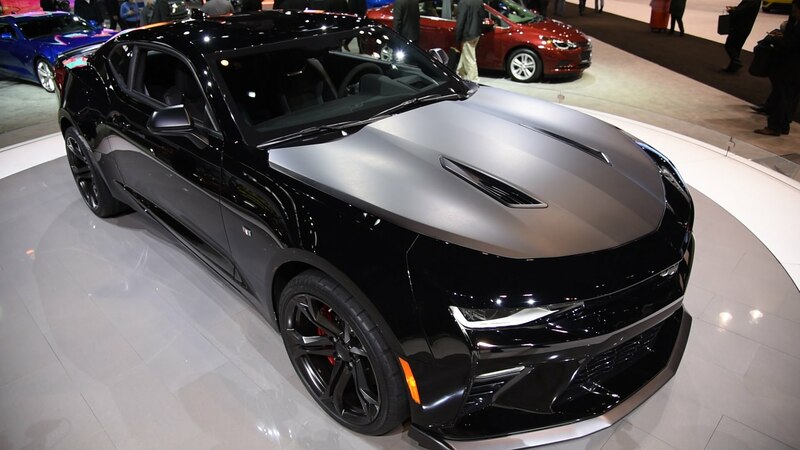 Chevrolet – One of the largest automotive brands in the United States, it’s not surprising that Chevrolet has big plans for the Chicago Auto Show. Monte Doran, a spokesman for Chevrolet, says that the brand has nine different models that will be receiving Redline special edition packages. These packages include blacked-out trim, red accents, and are mainly cosmetic in nature. Our favorite American auto brand may not have any plans to release brand new models at the 2017 Chicago Auto Show, but we are looking forward to seeing these brand new Redline special editions lined up at McCormick Place. Ford – The other major auto brand in America is also taking advantage of the world stage at the 2017 Chicago Auto Show. The Blue Oval brand has announced plans to debut the redesigned Expedition model, which is made out of a lightweight aluminum body, and shares similarities with the Ford F-150 pickup truck. The Expedition is expected to feature a 3.5-liter twin-turbo V6 engine, which will pair with a new 10-speed automatic transmission. While the debut of the newest generation Expedition is the most exciting thing to happen at Ford’s booth, the brand is also expected to reveal the 2018 Mustang, which has received a slight cosmetic makeover. Hyundai – While the domestic brands are expected to show up in a big way, Hyundai is toning it back a bit with plans to debut a new version of the Elantra GT. Featuring a hatchback body style, this model was designed to rival the Honda Civic, Ford Focus, and Chevy Cruze. Nissan – Nissan has plans to release the newest addition to the Titan pickup truck lineup – the King Cab. This full-size pickup features new doors that are able to open 170-degrees for ease of accessibility and convenience. Aside from this new version of the Titan model, Nissan is expected to debut six of its established models with Midnight Edition trim, featuring blacked-out details on both the interior and exterior of each nameplate. Subaru – Perhaps one of the auto show’s most anticipated participants for 2017, Subaru has major plans in store for this year’s Chicago Auto Show. To start, the brand will release a made-over version of its Legacy sedan, which will show off brand new styling, technology, and safety improvements to the popular nameplate. From upgraded continuously variable transmission (CVT) controls, to the addition of torque vectoring technology, to the newly optional steering responsive headlights – the brand’s flagship sedan is living up to every expectation. The 2018 Legacy will debut in Chicago, and make its way to showroom floors this summer. Toyota – In step with Nissan’s new truck debut, Toyota is expected to release its latest version of the Tundra full-size pickup truck. Aside from the redesigned Tundra, Toyota is also bringing a revised version of the Sequoia SUV to the 2017 Chicago Auto Show, which will be made available with a performance package from Toyota Racing Development. While the brand has not officially released any details surrounding the refreshed Sequoia, we expect it to include a performance-enhanced suspension, larger wheels, and an engine with increased performance. A few other rumors are circulating in regards to what Toyota may or may not share at the 2017 Chicago Auto Show, which include a special edition of the Highlander crossover, or a limited edition concept of the RAV4 compact crossover SUV. As you can see by this small sampling, the 2017 Chicago Auto Show will live up to the high expectations set by attendees each and every year. These six automotive manufacturers listed don’t even begin to explore the dozens of other name brands that will be represented in Chicago this year. Whether you live right here in the Chicago suburbs, in the center of the city itself, or across the border of one of Illinois’ neighboring states – be sure to check out this year’s 2017 Chicago Auto Show. From what we can tell, there will be more excitement and intrigue than ever before. Sit behind the wheel of some of the newest models produced by the largest players in the automotive world, and take the latest technology for a test drive. Whether you are looking to buy a car now, or simply want to see what your favorite auto brand has been up to in the most recent year – don’t miss out! We will see you there!